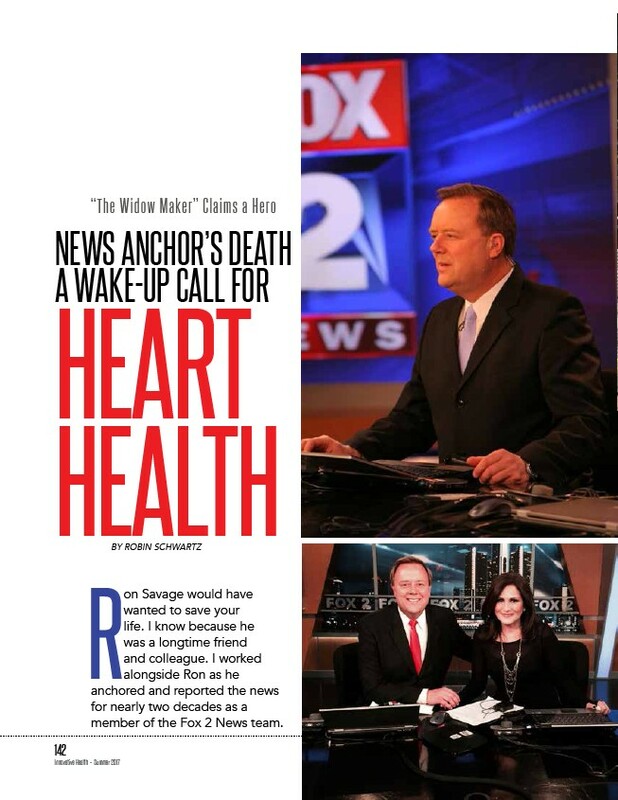 “The Widow Maker” Claims a Hero NEWS ANCHOR’S DEATH A WAKE-UP CALL FOR HEART HEALTH BY ROBIN SCHWARTZ 142 Ron Savage would have Innovative Health - Summer 2017 wanted to save your life. I know because he was a longtime friend and colleague. I worked alongside Ron as he anchored and reported the news for nearly two decades as a member of the Fox 2 News team.